HTC is about to roll out its One XL handset to parts of Europe as it looks to cash in on the 4G market. According to Vodafone Germany, the One XL will be available from early June, and KnowYourMobile reports that it should make it to the UK soon after. 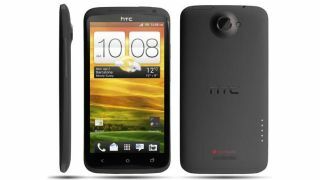 TechRadar contacted HTC UK, who said "The HTC One XL is a 4G LTE device which we expect will roll out to markets where 4G is supported, but there is no word on it coming to the UK." The One XL, currently available in the US under the AT&T One X moniker, is a variant of the popular HTC One X, but it does come with a couple of key differences. The One XL will pack 4G LTE capabilities, allowing users to take advantage of the super fast 4G networks, unlike the One X which only supports 3G. To compensate for the additional network boost the One XL has lost the quad-core Tegra 3 processor, instead having to make do with Qualcomm's dual-core S4 Snapdragon chip, which is found in the HTC One S.
Although on paper the One XL has the lesser processor, reports suggest the Snapdragon chip runs cooler, faster and more efficiently than the Tegra 3, meaning extended battery life on the handset. If you're tempted to nab one for yourself in the UK then you will be able to purchase a One XL directly from HTC for €659 (around £530).